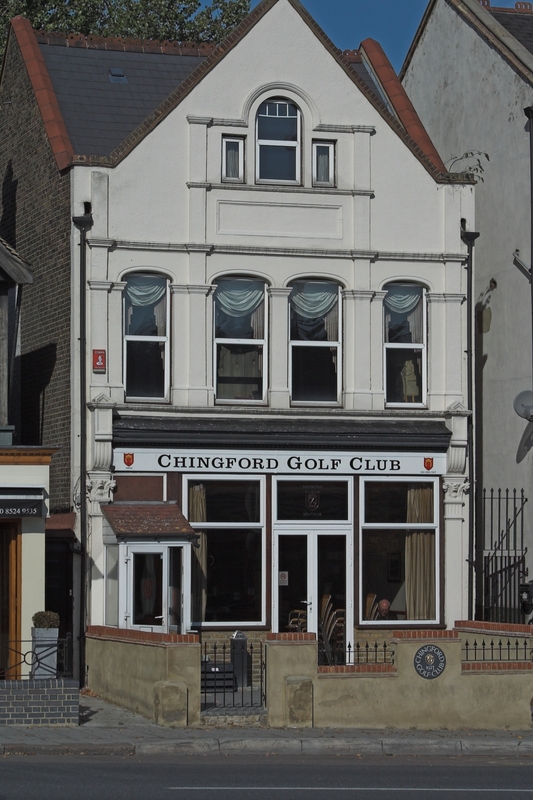 Our clubhouse is situated in Station Road, Chingford. This has been our headquarters since 1928 when we occupied the rear of the building and the front was a shop. In the forties we took over the rest of the building and in the 60s we bought the freehold outright. The clubhouse offers changing rooms and showers for golfers after a round as well as a bar where the day’s achievements can be shared. Members and their guests attend social functions at the clubhouse as well. Social membership of the club is also available for non-playing members. Social members are able to participate in all events at the club. The clubhouse is positioned just round the corner from the first tee of the golf course and the pro shop. Opposite the clubhouse is the bus station and the mainline railway station. It’s possible to park in Station Road by displaying a permit which can be bought in local shops.